Bed and Breakfasts near Minor Counties Wales Lamphey for 1 night from Sat Apr 20, 2019 to Sun Apr 21, 2019 within 25 miles, in an Average Nightly price range of £1 to £200. A warm welcome awaits you from Alex Mallika and the rest of the team at this quiet country retreat where you can enjoy a restful stay a good meal with friends or family or just sample our fine cask ales with a newspaper. We offer quality accommodation a varied menu featuring local ingredients and homecooking and a fine selection of well-kept cask conditioned ales. We also sell freshly ground real Italian coffees that please even the purists among us! Friendly Family run Bed and Breakfast, all rooms en-suite,full english breakfast.500 metres from ferry to Ireland.Very comfortable!!! Fern Villa offers comfortable 4* accommodation with a friendly atmosphere in a Victorian villa. En-suite rooms with beautiful sea views.Close to coastpath, beaches and ferry to Ireland. Short drive to St Davids & Newport. 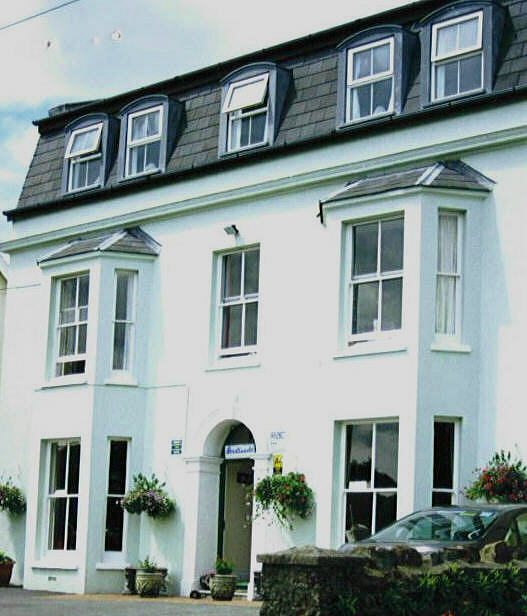 Offering a restaurant, Fishguard Bay Hotel is located in Fishguard. Free WiFi access is available. Each room here will provide you with a seating area. Featuring a bath or shower, private bathroom also comes with a hairdryer and free toiletries. Extras include bed linen. At Fishguard Bay Hotel you will find a 24-hour front desk, a terrace and a bar. Other facilities offered at the property include meeting facilities, a shared lounge and luggage storage. An array of activities can be enjoyed on site or in the surroundings, including cycling and hiking. The property offers free parking. Swansea Airport is 78 km away. P is for perfection... in Pembroke! Near Tenby and a picturesque dramatic coastline BEST WESTERN Lamphey Court Hotel and Spa takes pride of place in spacious grounds. Good food (fresh and locally produced) is served with fine wine and you can serve your own big hits on our floodlit tennis courts! On-site holistic and beauty therapies at Oakwood Leisure will have you feeling fantastic in no time while nearby sandy beaches hidden coves offshore islands Norman castles local craft shops and challenging golf courses are well worth a visit too. We also have a Helipad for special occasions and special guests! Please note: some rooms are located in a converted coach house separate from the main building. Restricted swimming times for ages 16 and under: Mon-Sat - 8:00 a.m. - 10:00 a.m. and 3:30 p.m. - 5:30 p.m. Sun - 8:00 a.m. - 10:00 a.m. and 2:30 p.m. - 5:30 p.m. Please note rooms in the annex building are Double Studio & DTT Family Room.